We have decided to cancel Strawberry Day this year because of our small yield, but nice berries are still ripening in this dry and sunny weather! 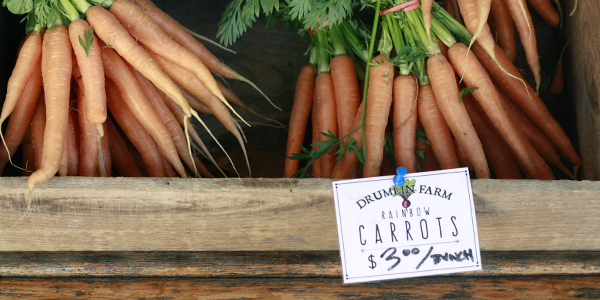 Pints are available for purchase at the farm stand, along with the first carrots of the season. The crops team did a great job hand-weeding the carrots and bringing them to Union Square Farmers Market. Other farmers couldn’t believe we had grown them at Drumlin. Field-grown Massachusetts carrots on June 11? It’s a first for us, too! We’re nearing the part of the season when we establish all major crops. Last week, we planted the melons and sweet potatoes. This week, we’ll plant an acre of winter squash. After that, an acre of pumpkins will round out the large plantings. Last week, the greenhouse volunteer team seeded Brussels sprouts and the fall storage cabbage. So, while it’s not yet officially summer, fall crops are already germinating in the greenhouse. We received help from three volunteer groups last week. 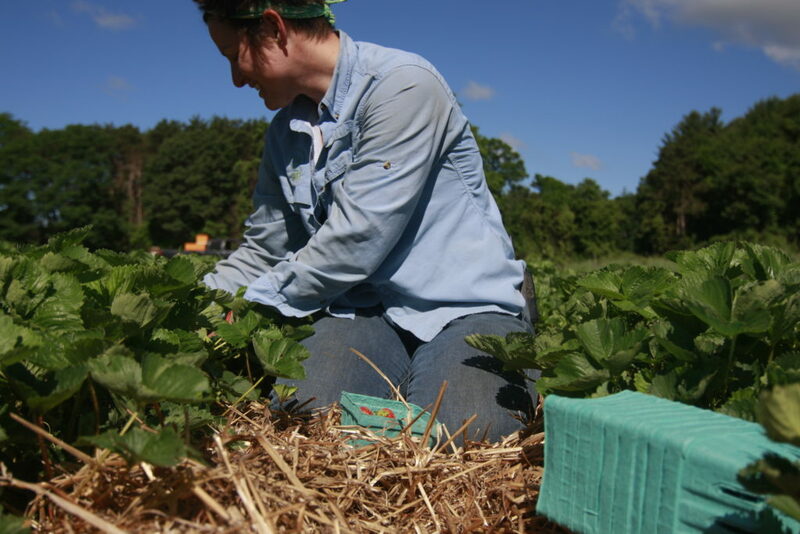 On Tuesday, Thursday, and Friday, groups weeded, planted sunflowers, harvested strawberries, and cut back field edges. Thanks, everyone, for your amazing work! Peas, beets, summer squash, garlic scapes and spring onions will arrive at the stand very soon. In the next few days, you’ll see us pounding stakes and putting the first line of twine on the fast-growing tomatoes. Stop by the field in the morning to say hello! This entry was posted in Education, Farming and tagged csa, farm, farm-to-table, farming, field, harvest, strawberries, vegetables on June 14, 2016 by Staff.